When we start to recognize the nature of this relationship, we start to treat our city differently and therefore we act accordingly. We are more likely to give back, even in small ways, to the community in which we live. These “love notes” as the book says can range from tiny acts such as picking up litter to large scale community led events like Better Block Texarkana. These gestures, tiny in the grand scheme of the city or relationship, have an outsized impact on the nature and quality of that relationship. Imperfect as a city may be, these loves notes are things that endear a place to its residents, something that makes them smile or feel at ease, something that provides a connection to their place. While Texarkana has a number of existing love notes, I would like to share with you one that is being planned in downtown Texarkana. Working together, the City of Texarkana, TX along with the Texarkana Regional Arts & Humanities Council (TRAHC) recently received one of sixty nine awards nationwide from the National Endowment for the Arts (NEA) Our Town Grant Program. It is our goal to design an arts-focused, pedestrian friendly promenade downtown that unites individual historical components including the Perot Theatre, Regional Arts Center, Farmers’ Market and the recently restored Scott Joplin Mural. The project will incorporate the USDA Texarkana Farm to Table Grant Initiative to provide access to local foods and handmade crafts. 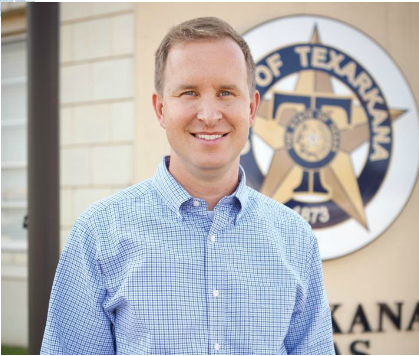 Respect for Texarkana’s history as a crossroads, railroad town, cradle of musical innovation, and agricultural center will be central to this endeavor. This project will utilize the place-based community driven approach recommended by the Project for Public Spaces, emphasizing local input and the expertise of an internationally recognized design team. Our design consultant, the University of Arkansas Community Design Center (UACDC), was selected for its internationally-recognized urban designs emphasizing livability and low impact development principles. In collaboration with Marlon Blackwell, an internationally awarded architect, the project will include design and engineering documents. Furthermore, the project includes an Arts & Historic District Economic Impact Study in collaboration with Texas A&M – Texarkana faculty. We invite your participation and feedback on the initial design concepts during the NEA Grant Open House which will take place Tuesday, October 27th at the Regional Arts Center located at 321 W 4th St in downtown Texarkana. We will host two opportunities during the day with the first session beginning at 11:30am until 1pm and the second session from 5pm until 6:30pm. This will be a great opportunity to learn more about this project and to be a part of another love note for our community. Comments on "LIFT: For the Love of Texarkana"